Passaic County generates over 1,100 tons of trash each day. 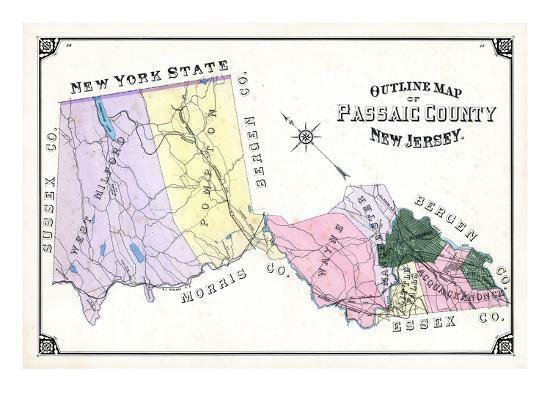 This sounds like a huge number until you consider the below facts about the County: Passaic County was created out of parts of Essex and Bergen Counties with the same legislation that created Atlantic County in 1837. Passaic County borders New York State on the north and is surrounded on the other sides by Sussex, Morris, Essex and Bergen counties in New Jersey. Passaic County has 193.81 square miles making it the 18th in size among New Jersey’s counties. On the basis of population, it ranks as the 9th most populous county in New Jersey. The 2017 estimated population of the County was 512,607 people. An increase from 201,622 in 2010 according to the US Census Bureau. The lower half of Passaic County contains more than 85% of the population in a third of the area. Passaic County has 16 municipalities. West Milford Township, at the northern tip of Passaic County, is the largest in size with 78.30 square miles of land. The Borough of Prospect Park is the smallest with .45 square miles of land. 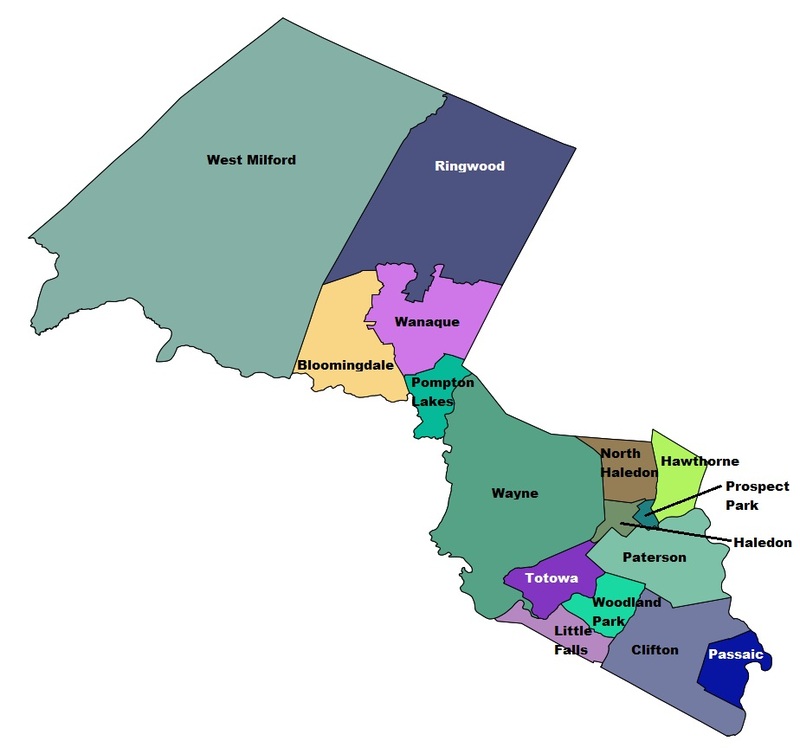 Passaic County includes the towns of Bloomingdale, Clifton, Haledon, Hawthorne, Little Falls, North Haledon, Passaic, Paterson, Pompton Lakes, Prospect Park, Ringwood, Singac, Totowa, Wanaque, Wayne, West Milford, and Woodland Park. There were over 177,000 housing units as of 2017, and over 12,000 employer establishments (as of 2016). Passaic County, NJ is a non-waste-flow county. This means that licensed haulers, like Mauriello Disposal (MDI), can dispose of of trash generated in the county at any licensed disposal facility. This permits MDI to shop around for the most cost-effective disposal site. It is important, when renting a dumpster in Passaic County, to use a NJDEP licensed hauler. Under New Jersey Statute, businesses commercially engaged in the waste industry are required to be licensed (commonly referred to as an “A-901 License”) with NJDEP. This includes solid, medical, hazardous waste transporters, solid and hazardous waste brokers and certain types of solid waste facilities filing disclosure statements and being approved. The A-901 Unit is the licensing agency, and reviews the disclosure statements to ensure the company, and all key individuals are fit to engage in the waste industry. Once the application is reviewed, the company is issued an A-901 approval or denial based on the investigative findings. We issue revocations to licensed companies who have violated the rules. The A-901 Unit work closely with the NJ Attorney General’s Office, the NJ State Police and NJDEP Enforcement Unit along with other Federal and State agencies. Monthly compliance workshops are also held, free of charge, to assist the regulated community in understanding compliance obligations, and the rules and regulations governing the waste industry. Is a Bagster right for me? Where Does New Jersey Trash Go? 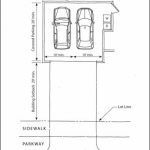 What size dumpster can I fit in my New Jersey driveway? © 2018 Mauriello Disposal, Inc. | NJDEP License #04376 | All Rights Reserved.